Salem • View topic - Animal variations? So was was wandering around in the woods when I stumbled upon a group of rabbits that looked a bit off to me. I killed a few of them, and they seemed to have more HP, and moved a bit slower than your average rabbit. Other than them being slow, brown and having more HP, is there any discernible difference between the two? Not at the moment. So far its just a mechanic thats intended to make fighting the creatures a bit different. Please read the latest patch notes in the Announcements section. There's some pretty important info in there, including rabbit changes. JohnCarver wrote: Not at the moment. So far its just a mechanic thats intended to make fighting the creatures a bit different. Daww, so cute!! All the white bunnys kinda bugged me, just wasn't natural lol. March Hares are the same. Killed arround 50ish this morning to check it out. Bunnies though vary from pack to pack (probably from biome to biome). ZoddAlmighty wrote: March Hares are the same. March have otjer textures too ? No, march hares are unchanged. 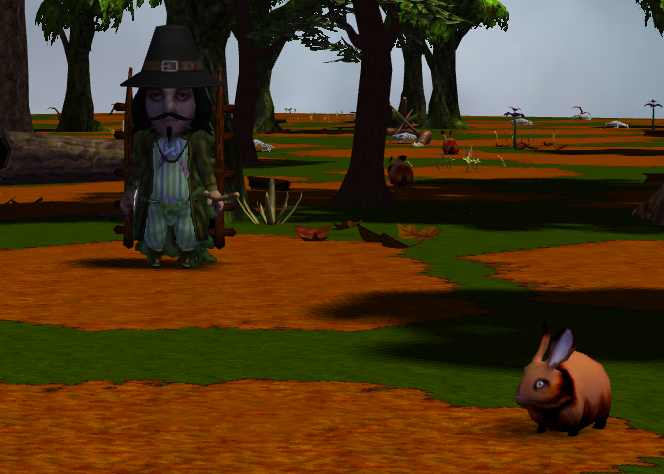 They are the same as before, the animal variant system affects only bunnies for now.